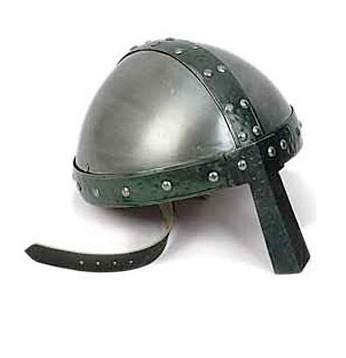 Nasal Helmet, Cervelliere, semi-oval helmet shell used in the Middle Ages, the twelfth century, with the nasal disk, without chainmail, median strip arranged in antero posterior and hoops. Nasal Helmet, Medieval Helmet century XIII - XIV, the Cervelliere Medieval Helmet was the primary head protection for Crusaders at that time. 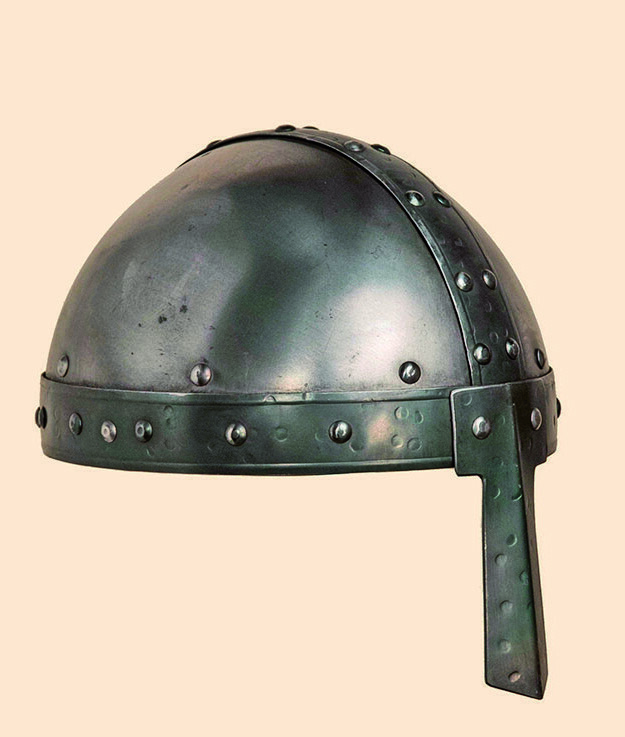 Battle- ready reconstruction of a Cervelliere helmet of the 8th Century.